Who says all farmhouses have to be in the country? Even people who live in the city can enjoy the rustic styles, welcoming layouts and natural materials that make farmhouse designs so popular. Take this Urban Farmhouse from Robert Baumann + Associates as an example. Although this home is tucked away in a pleasant neighborhood, it has all the favorite features of a traditional farmhouse. Features such as the large porch, wood fence and barn-like garage give the home an out-in-the-country feel, while the interior decorations, stylish lighting fixtures and open layout give the home an urban sophistication. 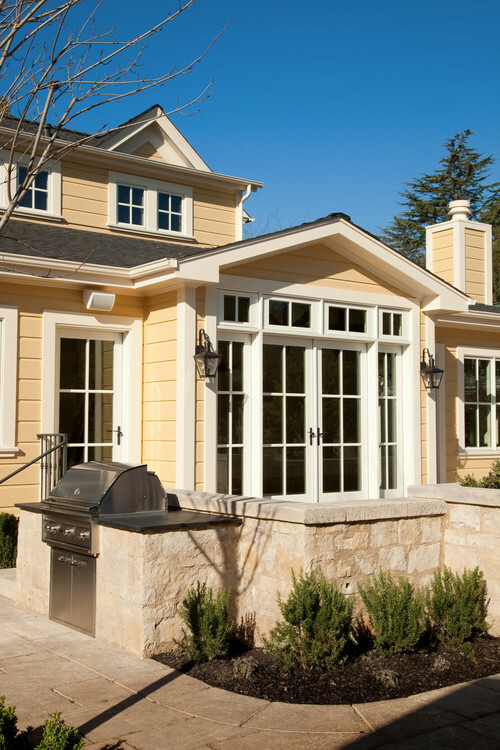 The exterior of the home is friendly and welcoming. 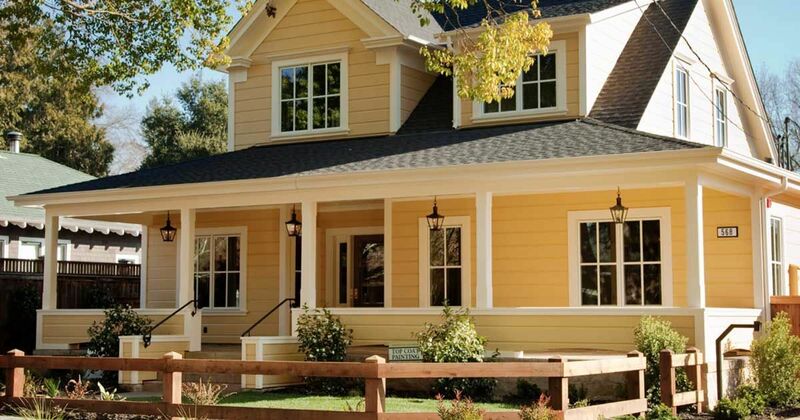 The spacious front porch has a farmhouse appeal that sets the property apart from its neighbors. 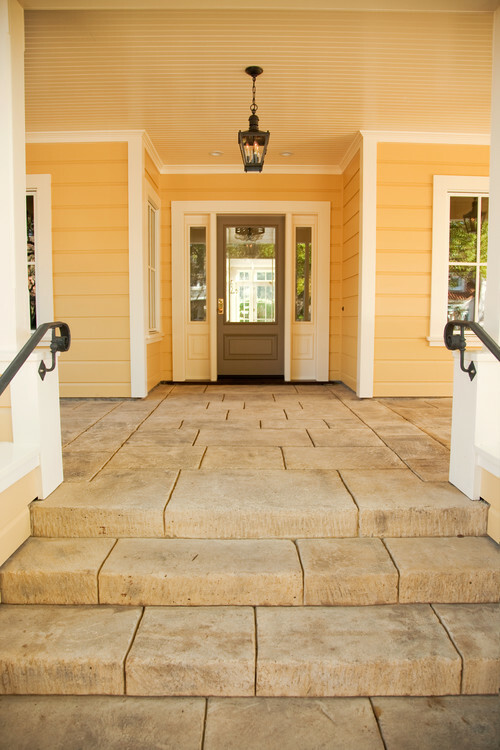 When you approach the front door, you’ll immediately see the impressive large stones that make up the porch. Inside the kitchen, there are many different colors and materials that create a visually stunning space. 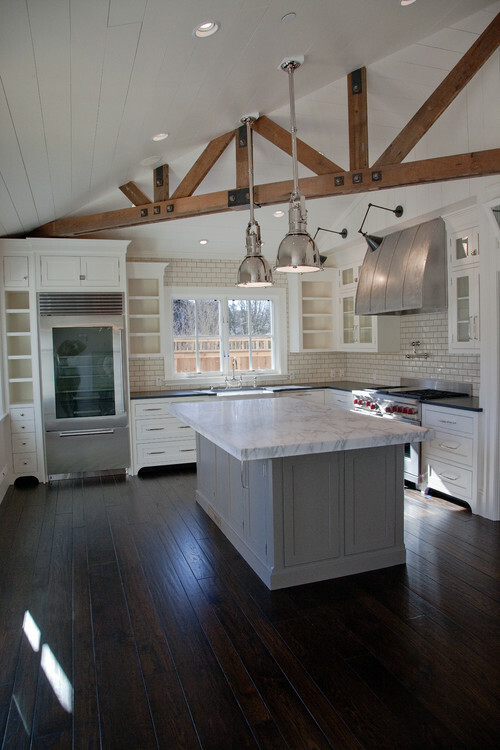 With wood beams, a metal range hood and a stone countertop for the island, the kitchen has a lot to offer. 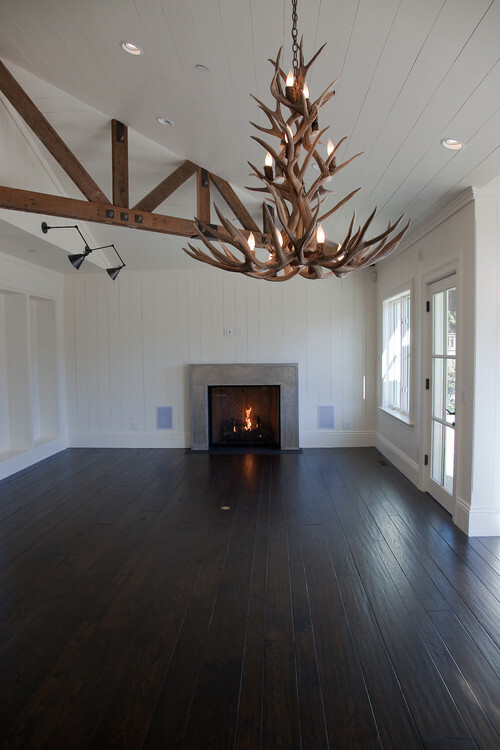 Although this home is an urban farmhouse, it has a slight cabin appeal thanks to the breathtaking antler chandelier. With a fireplace in the background, this living room looks warm and comfortable. The bathroom design is rich and pristine. 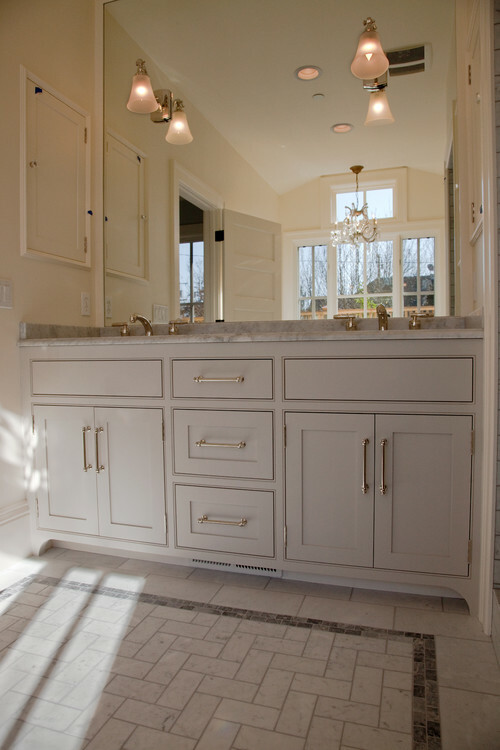 The elegant cabinets and tile flooring are highlighted by the warm lighting. 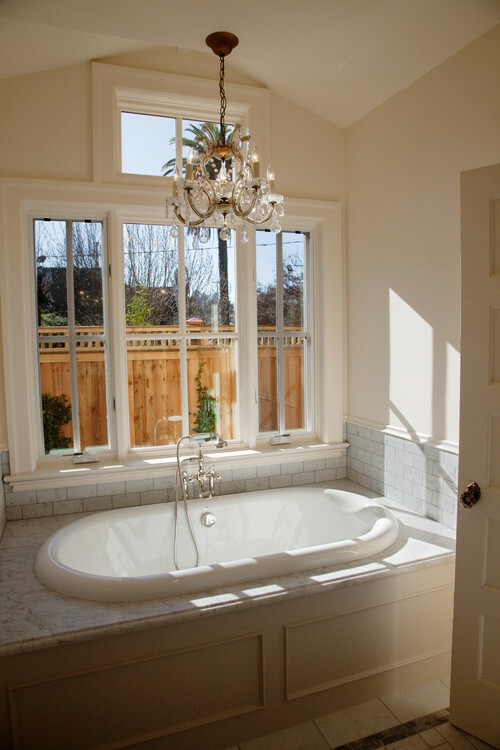 This tub, which sits on the other side of the bathroom underneath a gorgeous chandelier, creates a unique setting. The bedroom has an interesting style, thanks in large part to the circular lighting fixture hanging from the ceiling. A built-in grill on a stone patio? What’s not to love!? 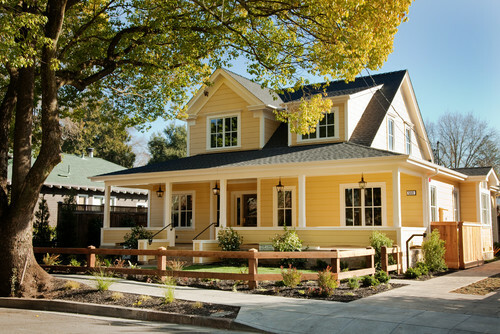 This rustic area is highlighted by the meticulously crafted landscaping that matches the vibrant yellow of the home. 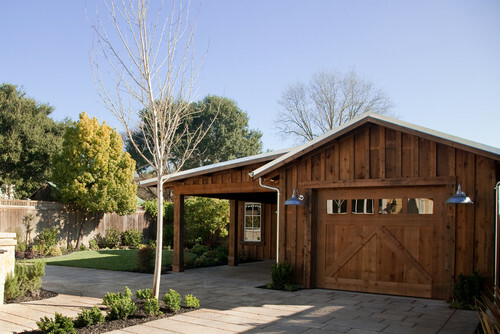 As if the house wasn’t impressive enough, this all-wood garage highlights the exterior and completes the county farmhouse style. It looks more like a barn than a garage, although it probably stores cars and not horses.